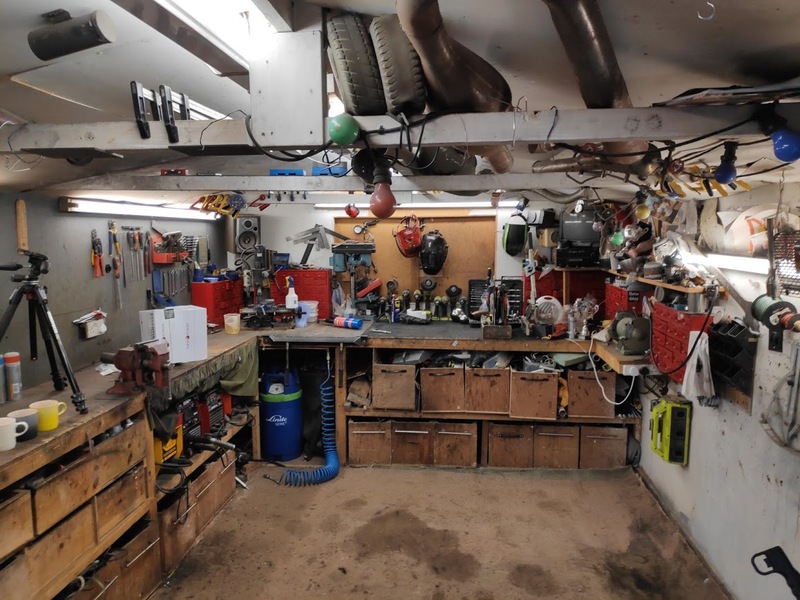 If I recall well, I’d say approx £500 for labour, the armoured cable, the fuse box, plugs, lights and running all cables all depending where you live (labour cost), and how much second fix stuff you need in there. As above, £500 sounds about right. Cost me £300ish but it was done by a mate and I think he did me a good deal. I really wanted to DIY but I also needed it signed off: would have cost me more to do it and then get him round to certify the work! I’d advise getting whoever does it to use armoured core with a few extra cores. It means you an Add additional circuits - for instance I added a security light to the building which is separate from the plugs and interior lights so I can turn it off from the house if I want to. 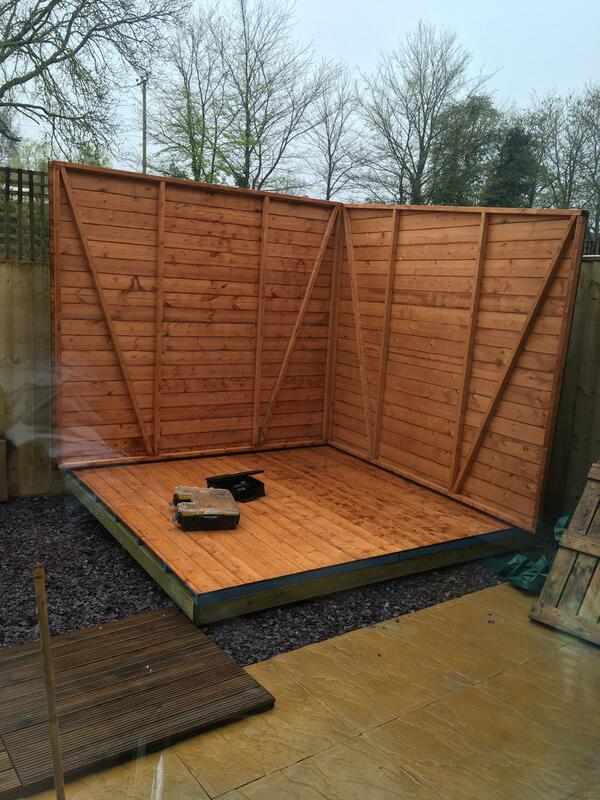 Now Big_Ted has a big shed. 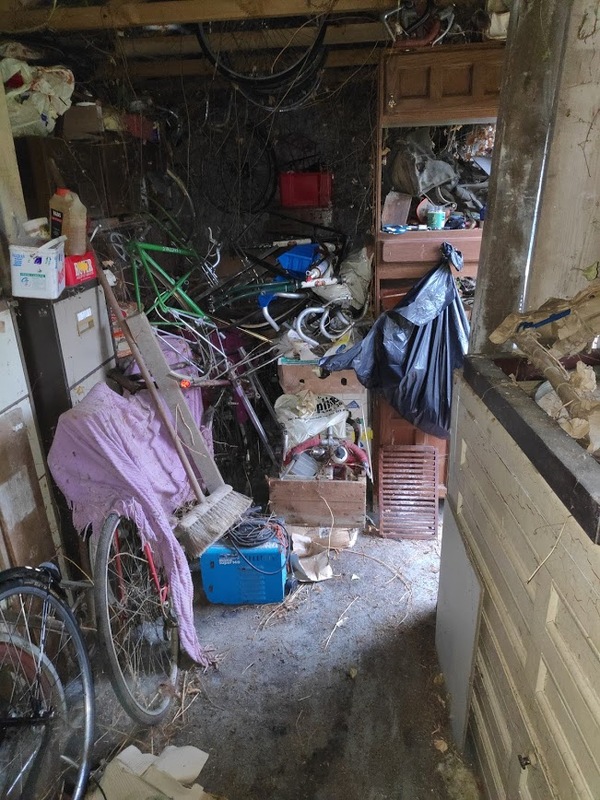 One of the primeray qualities of a shed imo. 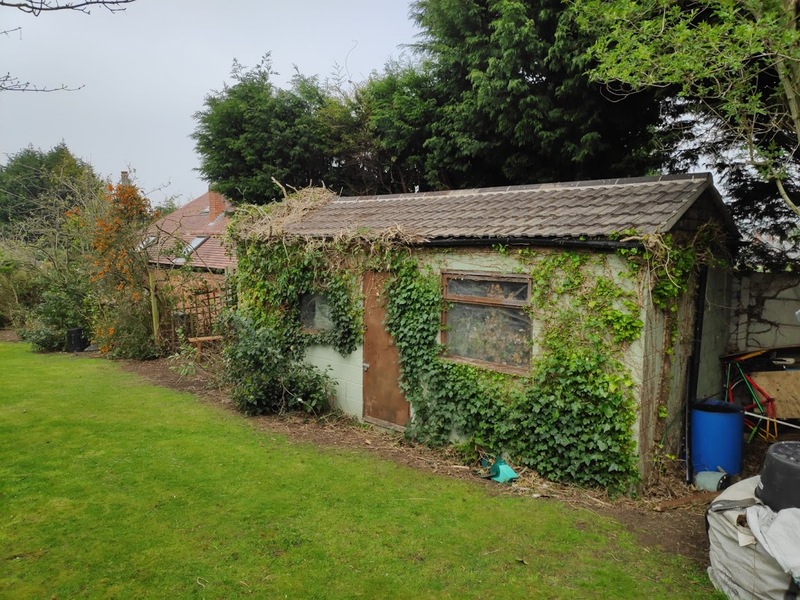 What's the best base for a shed? Slab is probably simplest. 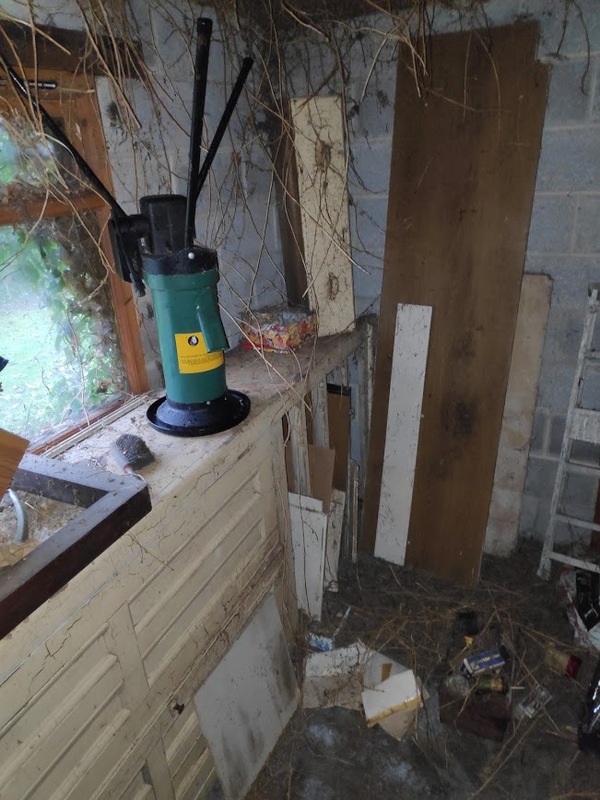 They use a lot of concrete which I would have had to take through the house so I put my office/shed on a grid of 12 concrete piers which the base frame sits on. Good for air flow too. Yeah I was toying with concrete piers as they'll use less material and thus cost less. 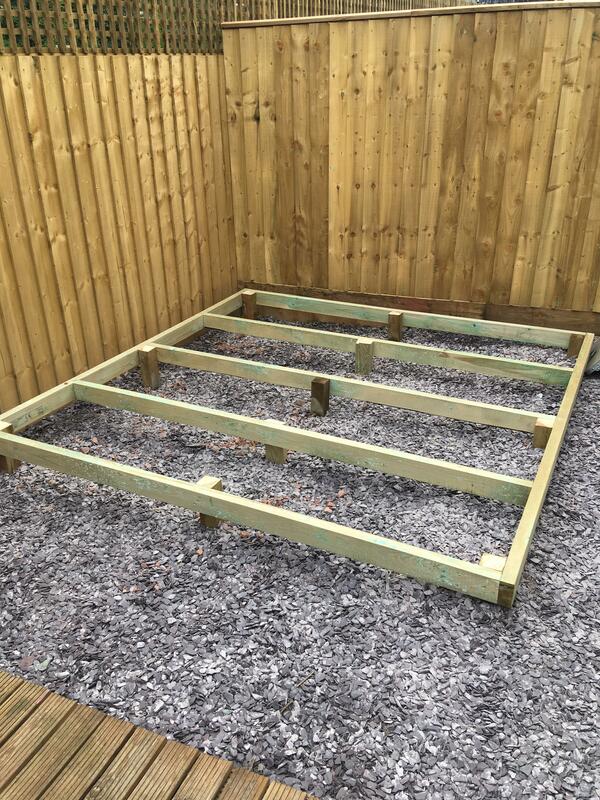 But I guess you need thicker floor joists so that might cancel out the money saving. Cool, thanks. Great tip with the buckets too. 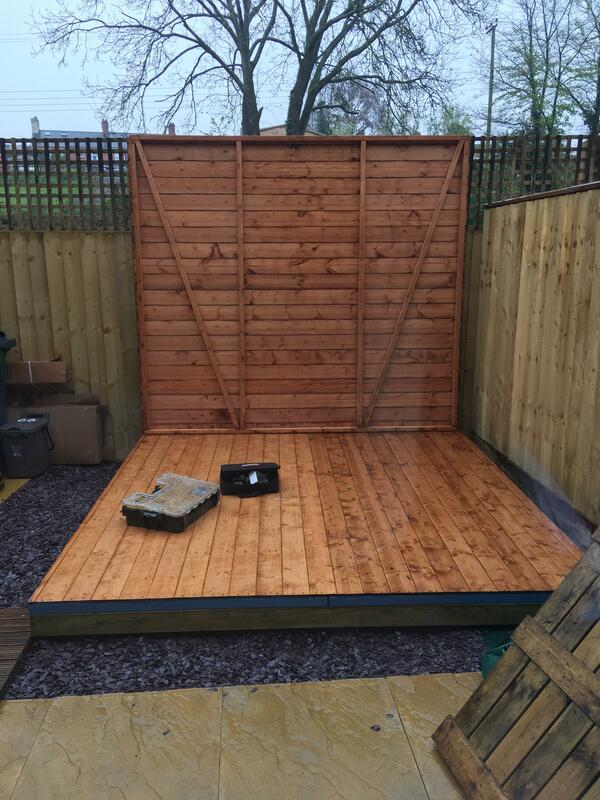 Whats the best material for the shed floor? 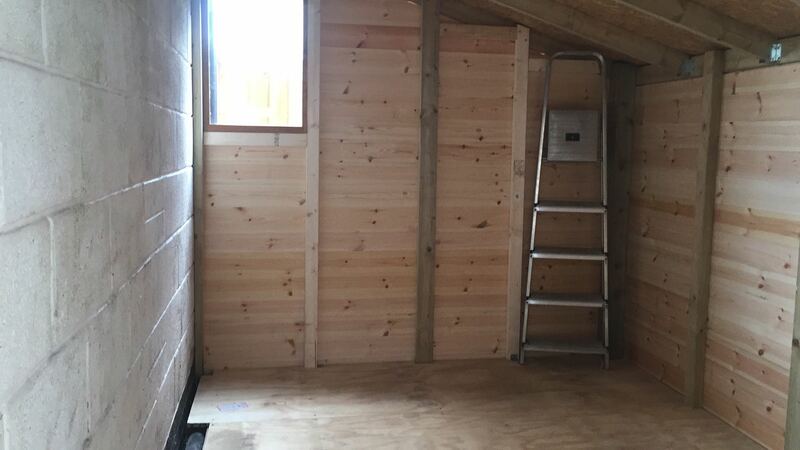 Ply or OSB? And what thickness? What did you go for @AlexD ? I would have thought ply is better than OSB. 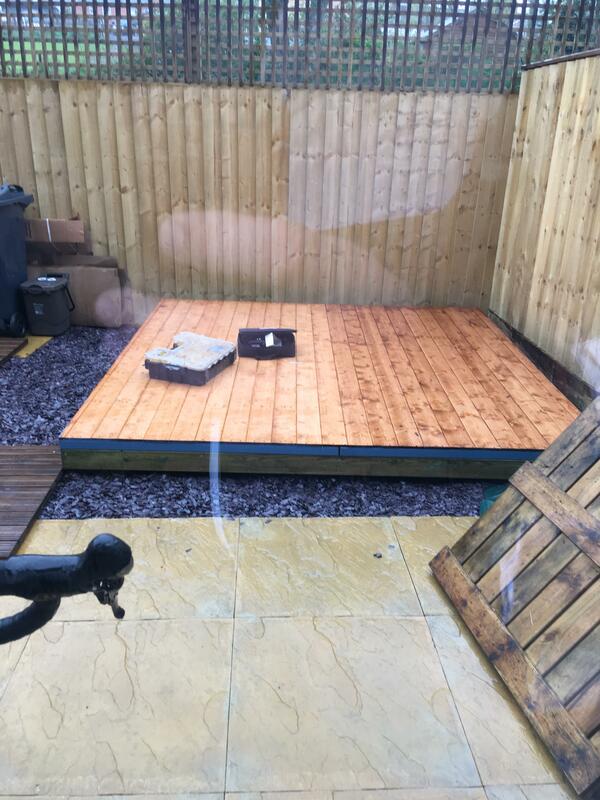 I used 18mm ply, on top of celotex or whatever it’s called - I’ve not had any problems with it so far. 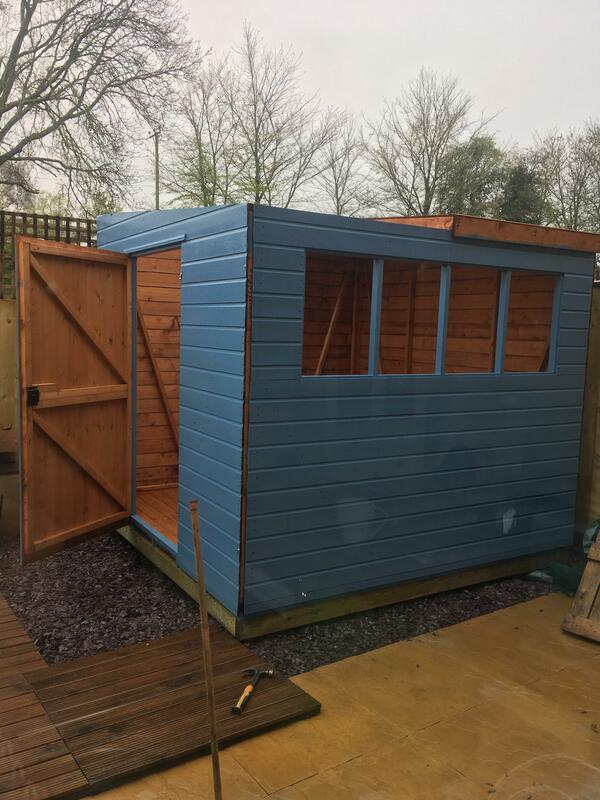 We decided that with us having the little human and just moving house and not really wanting to loose loads of time we just brought a shed, had them build a base, paint and install it for us. Very swift, no trouble, everyone’s happy! 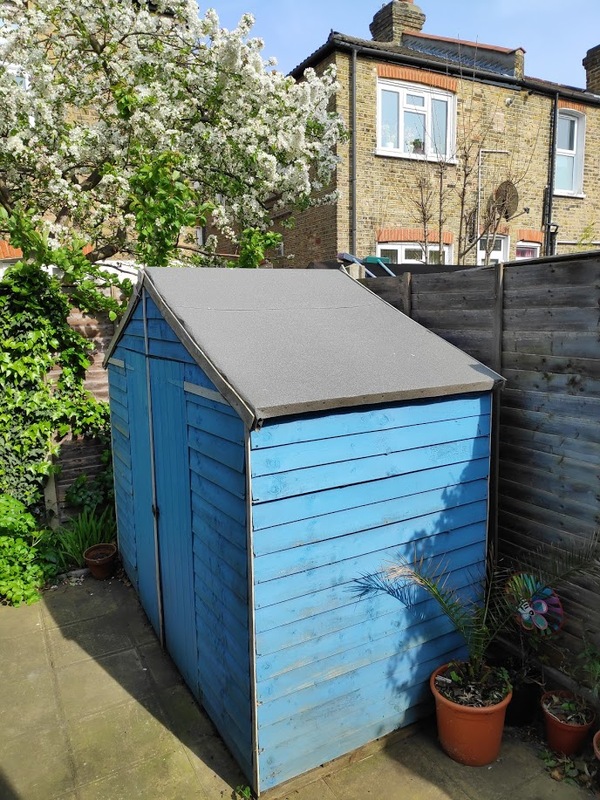 My old shed was that colour (it faded a lot and the plants rubbed some paint off). Although much smaller and no windows. Also older and cheaper. 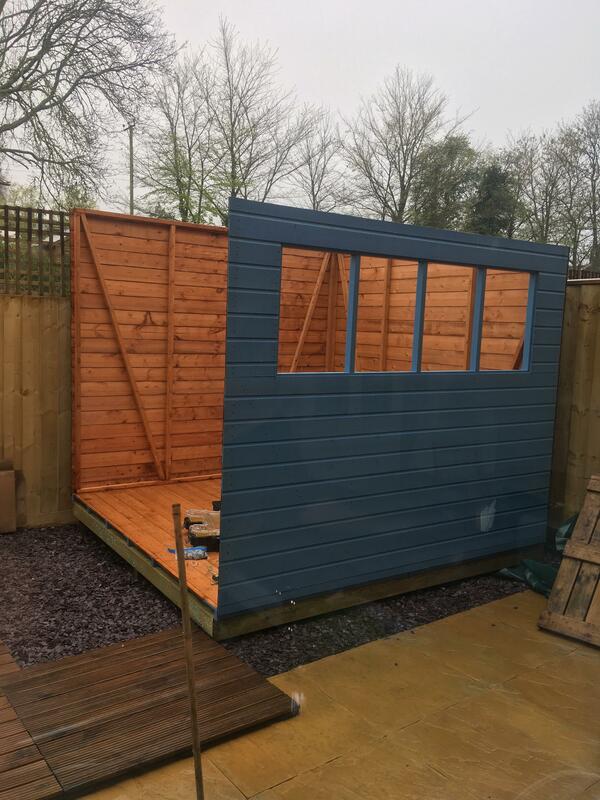 Moved out two days ago so the new tennant gets my shed for free. I can actually stand up inside (I'm 6'6") so its bigger than it looks. 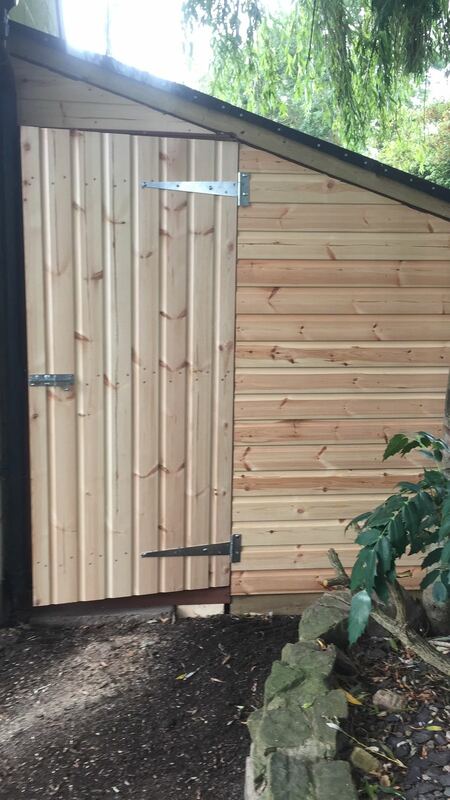 Got a much bigger shed now. Will post pics soon. 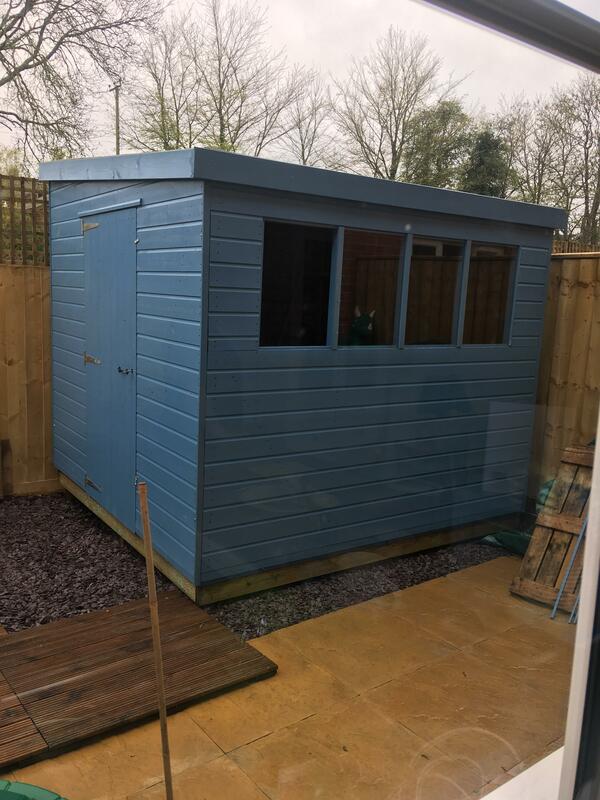 Here's my new shed. Believe it or not its in there. Completely untouched for 10 years (probably more). Unfortunately full of crap too. 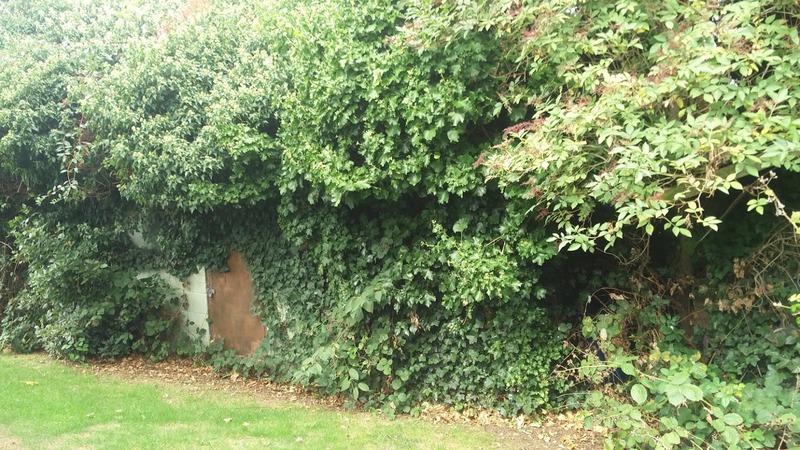 This is after a few weekends of clearing Ivy off it (rest of the garden was like this too). We've burnt so much dead Ivy. Here is some of the inside. The black bike is my wife's. Ivy was growing everywhere inside. Removed so much (before this picture). Still lots to do. Sadly no power connection but I'll look into that. Its approx the length of two small cars and one car wide. I love it. 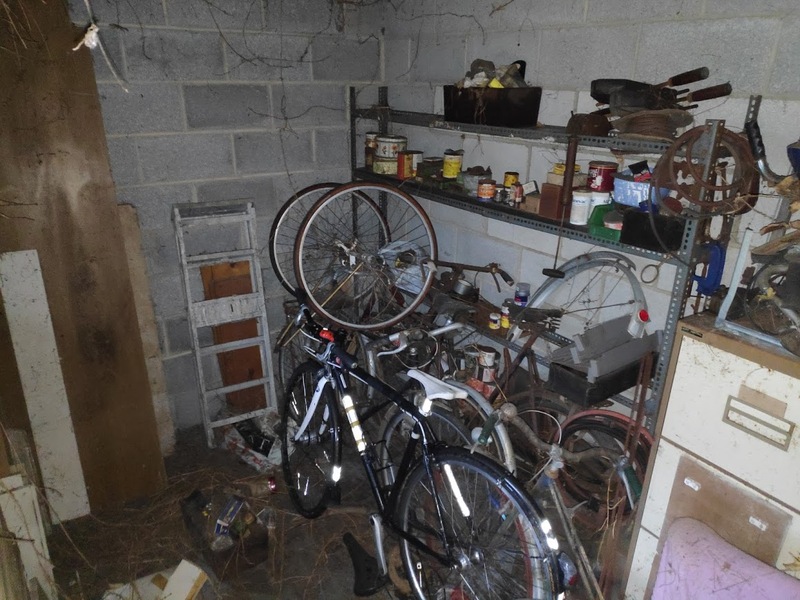 Got to visit this shed over the xmas period.